North Carolina is more diverse than you might imagine. With the highest mountain peaks east of the Mississippi and the tallest active natural sand dune system in the eastern United States, North Carolina is one interesting state to explore. Add in rich cultural heritage, abundant history and modern cities, you’ll wonder why you haven’t thought of North Carolina before. And golfers, don’t forget to pack the sticks – with over 400 golf courses there will be a suitable game for all skill levels. 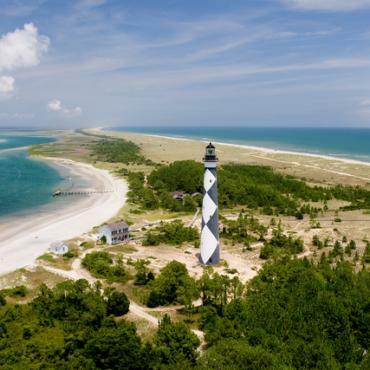 Another big draw is North Carolina’s 300-mile coastline. 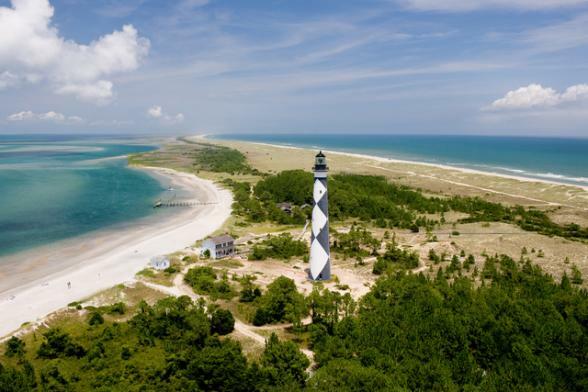 The chain of barrier islands includes Kitty Hawk, Duck and Cape Hatteras, Cape Fear Coast, Crystal Coast and Brunswick Islands. Many of which you are likely to recognise. You’ll want to consider an itinerary including them all as each area is unique, but they are all laid back with stunning beaches. Besides natural beauty, North Carolina’s cities are trendy and happening. Charlotte is the largest boasting plenty of fine cuisine, cultural activities, nightlife, professional sporting events and the new U.S. National Whitewater Center. 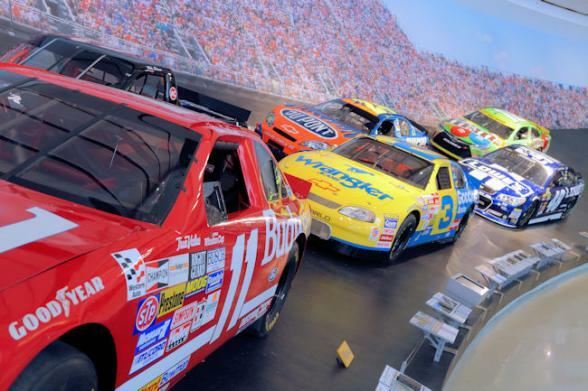 Just north of the city, in Concord, petrol heads will be thrilled to visit Charlotte Motor Speedway – home to NASCAR headquarters for research and development. 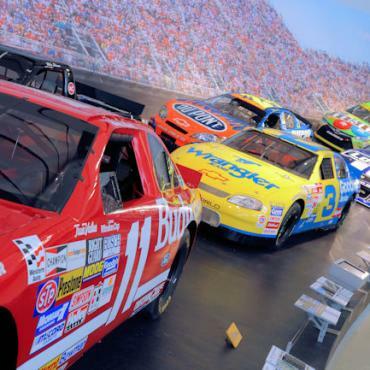 Many of the drivers live in the area along with race shops, museums and tours dedicated to the sport. History buffs, fear not – it abounds along the coast, where ships sailed and colonies formed centuries ago. North Carolina’s role in the Civil War is replayed with many reenactments during the year. Bentonville Battlefield, just outside Raleigh in central North Carolina, is the largest battlefield in the state and site of the last major battle fought during the Civil War. From the Wright Brothers to ‘moonshine’ North Carolina has a vibrant history and has become home to a variety of colourful characters including the fearsome Edward Teach, known as Blackbeard. The Biltmore Estate in Asheville is the largest private home in America. 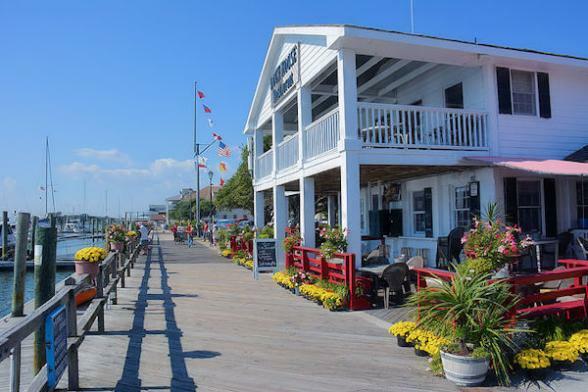 Located right on the waterfront in charming Manteo, on the beautiful string of Islands known as the Outer Banks. A little gem of a Lodge located on charming Ocracoke Island. Located in the heart of the Charlotte bustling entertainment district. A truly grand mountain resort, built in 1913 from the granite boulders of Sunset Mountain.